Professional organising of environments is not only about putting objects in an ordered fashion, there are also general health and psychological benefits. Decluttering can improve concentration, lower stress levels, boost mood, spark creativity and enable better sleep. Systems and orderliness have always come naturally to the founder of 2B Organised. Julie-Ann says, “I hadn’t thought too much about it until friends began making comments and I realised this was not everyone’s normal! My natural go to is ‘A space for everything and everything in its space’. It makes my life simpler and easier, I can find things efficiently and I can plan effectively to achieve my goals.” Julie-Ann is committed to the physical and emotional wellbeing of clients through decluttering spaces. The goal is to help clients feel proud of their achievements, to enjoy being more relaxed in clutter free environments and to increase their motivation to stay organised. Areas of focus: General house/storage, (includes home-offices, kitchens, garages/sheds, wardrobes, children’s rooms etc), Style Before Sale, Establish New Home or Office, Downsizing, Deceased Estate/Compassion - loss of a loved one. What I provide: Hands on expertise in decluttering and professionally organising your space. Delivering personable, compassionate, professional service. Physically sorting through possessions in a time frame. Background of 22+ years in the caring profession as a Registered Nurse. Including 5+ years in Neonatal Intensive Care caring for babies/families in personal crisis. 7+ years in Palliative Care caring for people/families with a terminal illness. 2+ years working in community Nursing visiting and caring for people in their own home. Co-ordinated a local charity for 4 years. Assisted husband in business for 9 years. Wife, mother of 2 sons (now grown up and married), household manager for 27+ years. 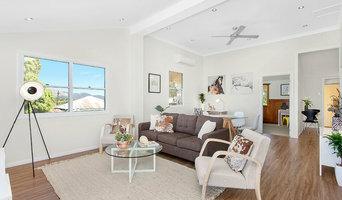 The Home Stylist or Stager works to prepare your Townsville, Queensland home for the Queensland real estate market. Find a home stylist or stager on Houzz. 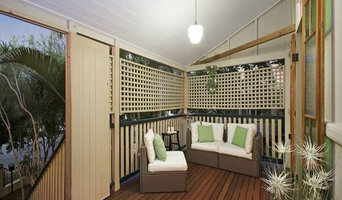 Narrow your search in the Professionals section of the website to Townsville, Queensland home stylists. You can also look through Townsville, Queensland photos by style to find a room you like, then contact the professional who styled it.